I've long wanted to see Disney On Ice and have been waiting for The Boy to be old enough to enjoy it. As he was an avid viewer of the last series of Dancing On Ice, finally my wish can come true! Even better this year is that Disney have added Anna, Elsa and Olaf from Frozen to the line up! Get ready to enter a world of enchantment as Mickey Mouse and Minnie Mouse bring the most magical moments from across the Disney kingdom to The UK, in Disney On Ice presents Magical Ice Festival. The one and only Frozen is joining the Disney On Ice family for the spectacular new show, Disney On Ice presents Magical Ice Festival, along with much-loved characters from The Little Mermaid, Tangled and Beauty & The Beast. Enjoy a special appearance by Anna and Elsa from Disney’s Frozen! Audiences will journey up the North Mountains with the hilarious snowman Olaf, rugged mountain-man Kristoff and his loyal reindeer Sven as they help the sisters along the way in a story full of action, adventure, magic and unforgettable characters. 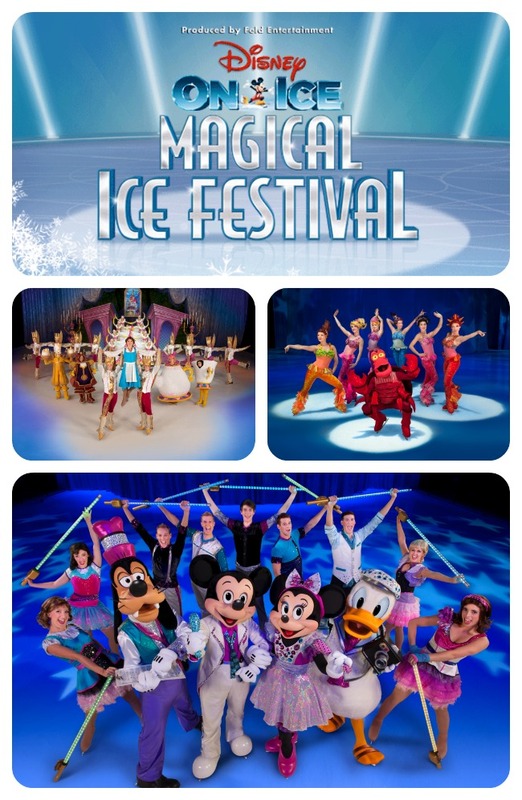 Disney On Ice presents Magical Ice Festival is appearing across the UK from 11th March – 17th May 2015 in Aberdeen, Liverpool, Glasgow, Birmingham, London, Cardiff, Nottingham and Leeds.